Literary agents have already started making giant strides, their turnovers surpassing those of highly reputed medium-sized publishing houses. For literary agents in India, business is booming. Though a relatively recent phenomenon in the country, agents have already started making giant strides, their turnovers surpassing those of highly reputed medium-sized publishing houses. India has a growing reader base. With the establishment of local divisions of big multinational publishers such as Hachette and Bloomsbury and the advent of mass-market best-sellers, sales, and subsequently advances, have increased manifold. A debut fiction writer with no credentials can now easily get a Rs 1 lakh advance against royalties. This figure could go higher for a debut non-fiction writer. Fiction and non-fiction by established, award-winning, and celebrity writers can get between Rs 10 lakh and Rs 15 lakh. Best-selling writers can get upwards of Rs 50 lakh and, sometimes, even Rs 1 crore. And literary agents play a big role in securing these advances. In 2013, the New Delhi-based Red Ink literary agency, in operation since 2006, made it to the front pages of all top newspapers in India by securing a $1 million advance for publishing phenomenon Amish Tripathi. That remains the highest payout to an author, Indian or otherwise, by a domestic publishing house. An agent gets a percentage (usually 15%) from the advance and future royalties of an author. This advance is not a one-off payment but an advance royalty calculated on the first print run and adjustable against future royalties. Since an advance is not refundable and puts pressure on publishers to market and sell books aggressively, most agents aim to secure higher advances for all their books. This is how it works: A publisher usually pays a non-refundable advance based on the estimated print run. So, if the first print run is 3,000 copies priced at Rs 250 each, based on the royalty percentage of between 8% and 10%, the author’s advance would be 3,000 multiplied by Rs 250 multiplied by, say, 10%. Future royalties – over and above the advance – accrue to the author only once the advance itself has been recovered by the publisher. In the above instance, the author will get the 10% of the Rs 250 only from the sale of copy no 3,001 onwards. Agents the world over usually charge 15% from the author on the advance and future royalties. In case of well-known and established authors, though, this may be brought down to 10%. Several published authors, established journalists, and celebrities have in recent times avoided the more common direct commissioning route. Instead, they have to signed up agents for reasons other than money, suggesting that the industry has come a long way since its origins in 1997. 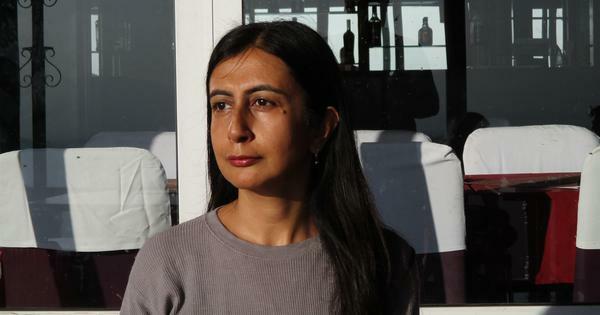 While the first Indian literary agency was launched in 1997, it was only in 2007, with the establishment of the Neville Tuli-backed Osian’s Literary Agency, that the contours of the profession began to emerge in the country. Although the agency soon folded due to financial difficulties, it did discover writers who went on to create best-selling books, including Omair Ahmad, Saeed Mirza, and Madhulika Liddle. This last line would have surprised many industry-watchers a decade ago, but it’s not so shocking today. Besides, over the years, the role of the literary agent has evolved, making them a big asset to many of India’s most popular and established writers for a combination of reasons. An agent is a lot more than someone who just connects an author to a publisher. Aditya Mani Jha, a seasoned literary critic with a major newspaper, notes that an agent is a lot more than someone who just connects an author to a publisher. “I look at the job of a literary agent as a combination of talent manager, literary sounding-board (on some days, everything you write will be horse manure), chartered accountant (although I’ve always loved math, not all authors do), and soothsayer (never underestimate the value of those),” he said. As a debut author, he didn’t feel he could do all these jobs as well as his own day job, and still write his book, Jha said. This made the prospect of having an agent alluring. For senior journalist and columnist Aditya Sinha, the literary agent route had another benefit. “It saved me the embarrassment of haggling with people I know, leaving this necessary activity to a third party,” he said. Many authors in India go to publishers directly not because they are averse to working with agents but because they are completely unaware of their existence. One such author, the best-selling film writer Yasser Usman, was always under the impression that the usual way to reach out to a publisher was to get his or her contact details or email address from a published friend or colleague. Luckily for Usman, who wrote Bollywood actress Rekha’s biography, Rekha: The Untold Story, one such connection led to a contract for his first book on the late movie star Rajesh Khanna. Ironically, he now completely understands the role and importance of an agent but feels that introducing him or her into his writing career at this point may cause confusion and embarrassment for his publisher, with whom he gets along very well. But gradually even authors represented by foreign agencies, such as investigative journalist Josy Joseph, see how working with agents in India can bring big benefits. The biggest concern for Indian agents now is losing the authors they discover to editors who may have developed a good rapport with them. Then the writer may not see any point in having an agent for future deals. Yet, for now, the agents’ role as a bridge between budding authors and publishers is only deepening. “I think agenting in India came at the right moment when both publishing and the quality and diversity of content from authors began to grow both in depth and breadth,” HarperCollins India CEO Ananth Padmanabhan said, noting that 10 years ago there was simply no commercial fiction, for instance. “Submissions have changed as agents better understand publishers and the kind of books they seek,” Padmanabhan said.